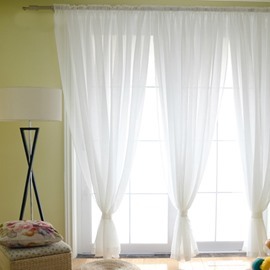 Tired of your old curtains? Do you want to decor your room with this colorful butterflies curtain? 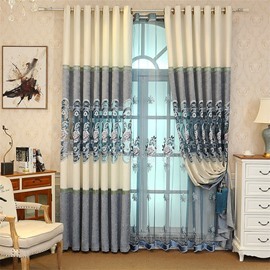 By making with high-quality soft polyester materials and skillful process, this curtain has breathable and dust-proof features and also can be a decoration to your room. Meanwhile, it’s easy to install to wash and also can be used for a long time without harmful smell. Its quality has successfully passed by QA. I don’t usually write reviews, but felt I really needed to for this product. I just received these today and hung them up right away. They are really beautiful and very nice quality. These are very pretty and sheer. Living in the country, I just wanted something to keep the window from looking bare, especially at night. These let me see through easily but make the kitchen look finished. Nice quality for the price. 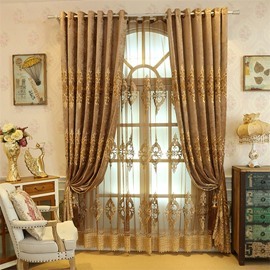 This curtain is very pretty. 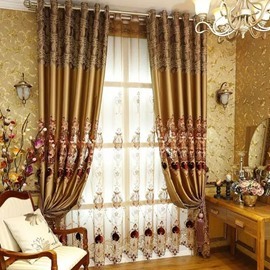 The fabric is light and the embroidery is delicate and very well-done--no dangling threads, every flower complete, and the hems straight and neat. 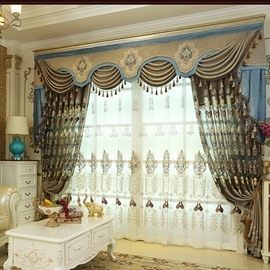 I am going back to buy a second one for another room. 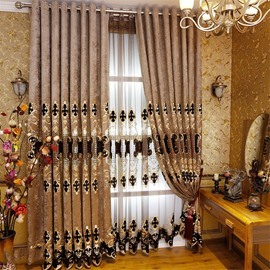 When it states that a curtain is 144 wide and it comes in two panels is that 144 per panel or is that the with the both panels combined ?